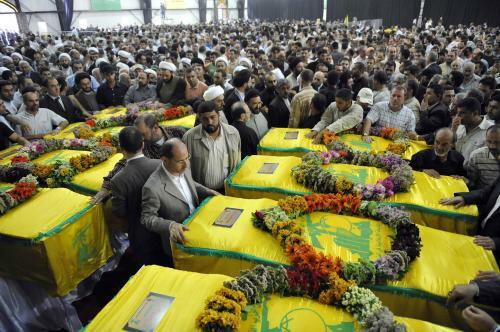 File photo of a funeral of some of the Hezbollah fighters killed in Syria. Hezbollah and the Syrian army continue to suffer heavy losses in clashes against the rebel positions in Zabadani at the southern end of Qalamoun, according to a report by Lebanon files. The report also published a list of the names of all Hezbollah fighters killed in Syria’s Zabadani between July 3 and September 10. Just to invade one town that they still have not fully taken yet. A small portion of the total waste of life that Iran and Assad have created. The one thing they could NOT ‘resist’.